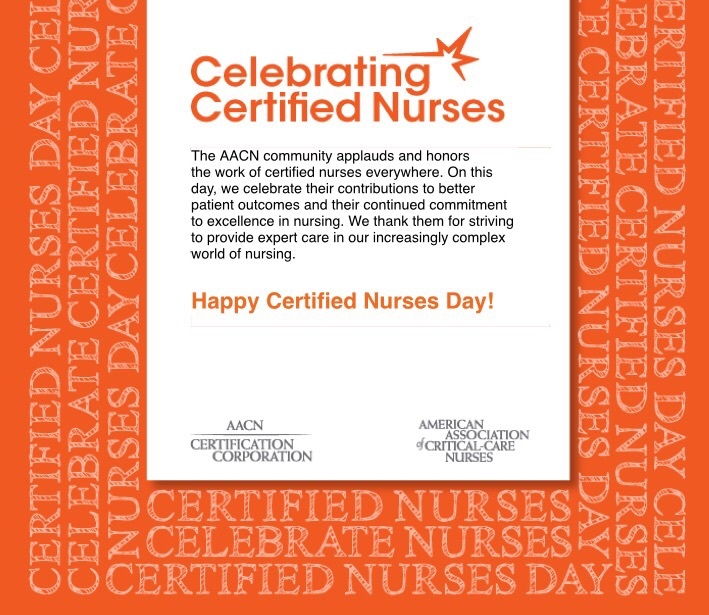 On Thursday, March 19, was National Certified Nurses Day. At work, it was nice to get that acknowledgement (again!). The AACN ambassadors put together little bags for all those who are certified as a CCRN. In the bag, there were a couple of AACN and CCRN pens, pins, and chocolate. My hope is that once you’ve been in practice long enough to get certified, go for it. It just gives you that additional “oomph” and confidence.